Egypt, Ethiopia and Sudan agreed to conduct studies on the effects of the Grand Ethiopian Renaissance Dam (GERD) under a six-month deadline, after two days of “honest consultations” in Sudan. The talks were headed by the water ministers of the three countries, who agreed to use one or more international consulting companies to conduct the two studies, recommended in an international report. Egypt’s Water and Irrigation Minister Hossam El-Din Moghazy was cited by state-run MENA as saying Egypt’s acceptance of the dam depends on the results of the studies and that the results are binding to all parties. The trio held talks in Sudanese capital Khartoum on Monday and Tuesday, after which they announced the results in a joint statement. Former Director of the Arab and African Research Centre in Cairo, Helmy El-Shaarawy said what can be understood from the results of the talks is that “Egypt is dealing with the dam as a matter of fact,” and that its construction cannot be stopped. He believes that given this, political intentions and indications – such as President Abdel Fattah Al-Sisi’sandnbsp;http://www.dailynewsegypt.com/2014/08/24/al-sisi-voices-willingness-visit-ethiopia-3-times-resolve-dam-issue/announcementandnbsp;that he is willing to visit Ethiopia up to three times to resolve issues – matter more than economic or technical indications. The GERD, which is currently under construction, has been the cause for much tension between Egypt and Ethiopia because Egypt fears that the dam will have a detrimental effect on its share of Nile water. However, El-Shaarawy said that these fears are fueled by the media to a certain extent, since Egypt has a capacity to store large amounts water and “Ethiopia knows that”. Since 2013, the three countries had been in disagreement over how to implement the recommendations of the International Panel of Experts (IPoE), released in a report in 2013. The report recommended conducting the two studies to assess the effects of GERD on downstream countries Egypt and Sudan, including the environmental and socioeconomic impacts. The trio also agreed in Khartoum to form a committee made up of four national experts from each of the three countries. There had been disagreements on the formation of the expert panel that will oversee the building of the dam, since Egypt wanted representatives from Cairo, Khartoum and Addis Ababa only, while the latter two wanted the committee to include international experts as well. The talks in Khartoum are the fourth such talks. 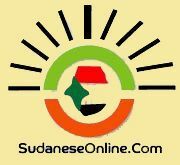 The last round of tripartite talks was held in January but ended withoutandnbsp;http://www.dailynewsegypt.com/2014/01/05/no-deal-in-nile-river-trilateral-negotiations/reaching an agreement. It was preceded by tripartite talks in November and December of last year, but these also failed. Egypt and Ethiopia have been locked in a diplomatic dispute over GERD, since Egypt fears that the dam will affect its share of Nile water. Downstream countries Egypt and Sudan together receive the majority of Nile water. As per agreements signed in 1929 and 1959, Egypt annually receives 55.5bn cubic metres of the estimated total 84bn cubic metres of Nile water produced each year and Sudan receives 18.5bn cubic metres. However, the two water sharing agreements, which guarantee Egypt the lion’s share of water, were signed in the absence of Ethiopia. Al-Sisi and Ethiopian Prime Minister Hailemariam Desalegn met in June and the two countries later announced aandnbsp;http://www.dailynewsegypt.com/2014/06/28/egypt-ethiopia-form-joint-committee-renaissance-dam/jointandnbsp;committee to streamline discussions onandnbsp;GERD. Both nations hailed the agreement as a “new chapter in relations between Egypt and Ethiopia… based on openness and mutual understanding and cooperation”.